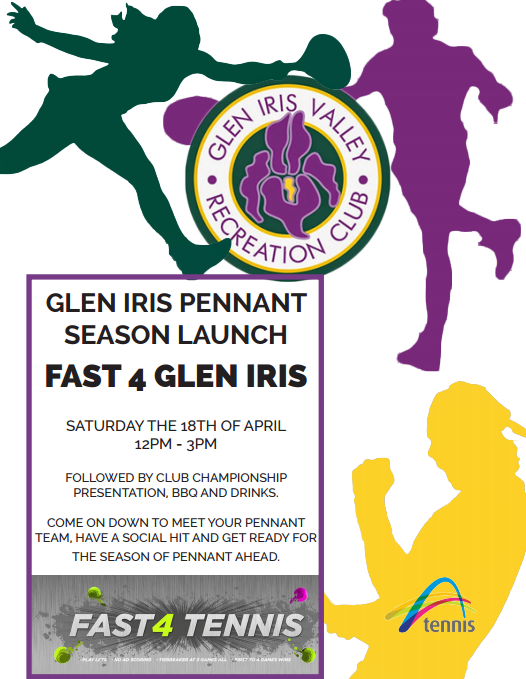 Fast 4 tennis will hit the courts on Saturday April 18th as part of the Glen Iris Pennant Season launch. This will be a great way to introduce yourself to your teammates and get a hit in before the season starts in a relaxed and fun environment. Click here to find out the rules and more information about fast 4 tennis. Off the court, a BBQ will be provided and drinks will be charged at members rates. If you could please confirm your attendance by letting James Curtin know on 0403222894 or Angelo Giampaolo 0407477798.